Felt a little out of sorts recently? Is a lack of energy making you feel sluggish or lethargic? Perhaps you’re never hungry, or rather the opposite? Turns out, we all need to follow our gut feeling – quite literally. Your digestive tract, believe it or not, is by far one of the most important systems of the body to keep in check. But yet, 40% of us still report experiencing one or more digestive complaints, with more and more of us turning to all sorts of constipation-concoctions, belly-blasters and detox aids that promise to renew your body and help to kick-start your system. Well, what if I told you there was a simpler way to keep your gut happy? The digestive system is a complex network in your body. Designed to maximise the nutrient gain from everything you put into your body, it consists of interconnected specialised organs, each facilitating a different digestive process. One of the most crucial areas to take care of is the intestine. Often, common symptoms of digestive difficulties ranging from indigestion (heartburn) to constipation are caused by a disrupted or lagging intestinal tract, because the intestine is colonised by billions of bacteria cells contributing to the healthy processing and digestion of all you eat. And what you eat ultimately decides the fate of these helpful ‘friendly’ bacteria. 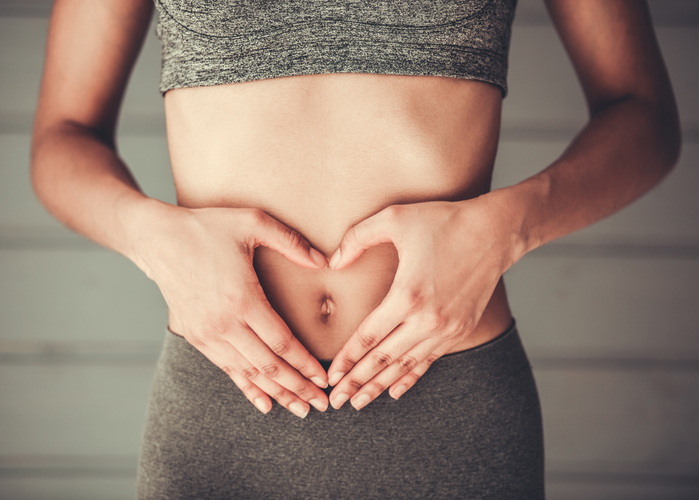 Not looking after your gut can lead to a range of health issues ranging from the annoying or embarrassing symptoms to lesser known manifestations of gut problems. Some common symptoms of poor gut health include frequent indigestion, constipation and/or diarrhoea, stomach cramping, gas, incomplete digestion of food, bad breath, bloating and irregular bowel movements. Believe it or not, the functioning of your gut has widespread implications on many different areas of your body. The health of your gut and the efficiency of your nutrient digestion is clearly going to affect your energy levels. If your bacteria are finding it hard to digest and absorb nutrients into your bloodstream, you may experience symptoms of fatigue and tiredness or sluggishness more often. The health of your gut also impacts upon your skin health. An inflamed gut caused by a lack of dietary fibre or consumption of dietary allergens can result in skin conditions such as eczema, acne and psoriasis. Dietary fibre, also known as roughage, is a group of plant-based components of largely indigestible or semi-digestible cellular components. These structures of the plant cell wall, such as lignin and cellulose, are largely indigestible by our own digestive enzymes, and this is where our gut bacteria come in handy. The billions of bacteria in your digestive system work on this indigestible plant matter, fermenting it and producing their own self-sufficient energy source to enable them to grow and reproduce – without needing any energy from us (pretty clever!). These bacteria are responsible for aiding efficient breakdown and absorption of nutrients, helping to increase vitamin absorption and aid in our removal and processing of any consumed toxins or pathogens that may harm us. Fibre is for life, not just for breakfast! 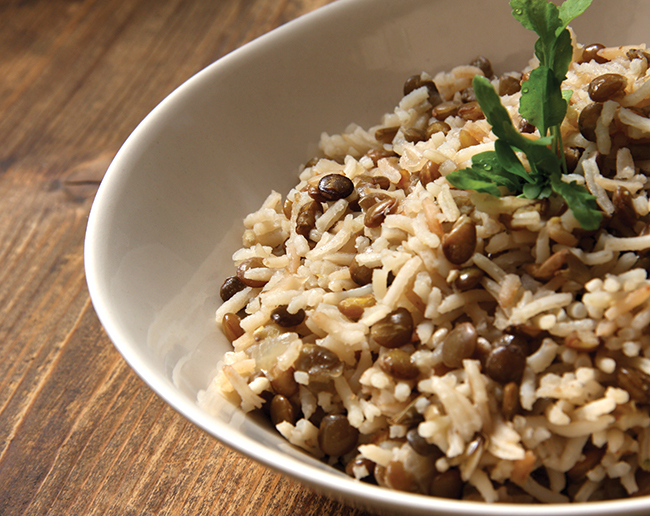 Dietary fibre is extremely abundant in a varied and balanced plant-based vegan diet. However, if you feel like your system is in need of a rebalance or a healthy kick to help aid your digestive health, there is no better way to transform your gut health than to re-think your diet. The majority of adults in the UK consume an average of 12g of fibre, quite low considering the recommended daily intake ranges from 28-30g per day. Fibre is one of the most crucial elements of your diet, and is often neglected in a modern day lifestyle. 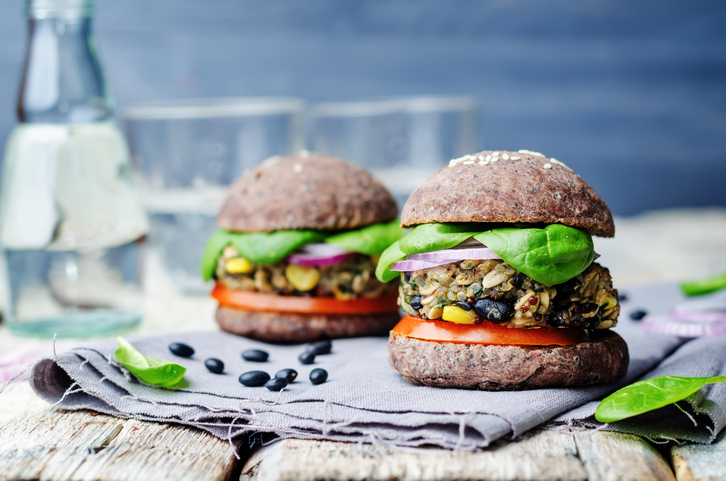 We’ve become accustomed to juices and shakes with a higher proportion of us reaching for largely processed grains and convenience products in the busy day-to-day life. Sadly, most of these foodstuffs have a considerably low amount of fibre and contain higher amounts of readily available sugars, such as glucose and fructose, which can aggravate the bacteria in the intestinal tract. By upping the intake of dietary fibre, not only are you making your gut bacteria happy, you’re decreasing the risk of some diseases and health conditions. There is a marked decrease in risk of colorectal cancers, obesity, type 2 diabetes and high cholesterol. Turns out, fibre is an effective way to help slow the absorption of sugars in the diet from reaching the bloodstream, preventing spikes of blood sugar levels and resultant fat storage (a bonus if you’re looking to lose weight.) Fibres found in wholegrains, particularly those in oats and fruit skin, have also been shown to reduce LDL (bad) cholesterol levels, benefiting heart health and circulation. Fibre also helps you feel fuller for longer by slowing food passage through the digestive system, helping to prevent over-eating. Now you know how important it is to maintain a healthy gut, it’s time to tweak your diet and boost up those super-powered bacteria by increasing your fibre intake and feeding your gut with all the nutrients it needs. Dietary fibre is easy to incorporate into your daily routine. In general, fibre naturally occurs in two main functional forms: soluble and insoluble. You need to ensure a balance of them both to maximise your health and get the most out of your food. Insoluble fibre doesn’t dissolve in water, and is the hardest to digest. Our bacteria use this form of fibre for energy. The fibre slows passage through the digestive system, making you feel fuller for longer, preventing over-production of hormones such as ghrelin, which can induce hunger pangs and cravings. 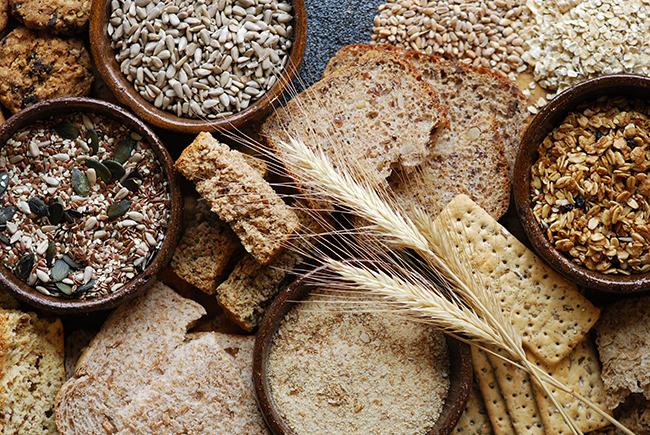 The fibre is found in foods such as wholegrains, cereal products, vegetable skins, nuts and seeds. Incorporating insoluble fibre into every meal is simple. In the morning, ensure breakfast includes at least two wholegrains. Sources include five-grain wholemeal bread and multi-grain mixed fruit cereals (look for no added sugar varieties, sugar can negatively offset fibre benefits and cause toxicity in the gut). Eat wholegrains at lunch and dinner, such as brown rice noodles, quinoa pasta and amaranth stews, alongside a variety of vegetables with their skin on. 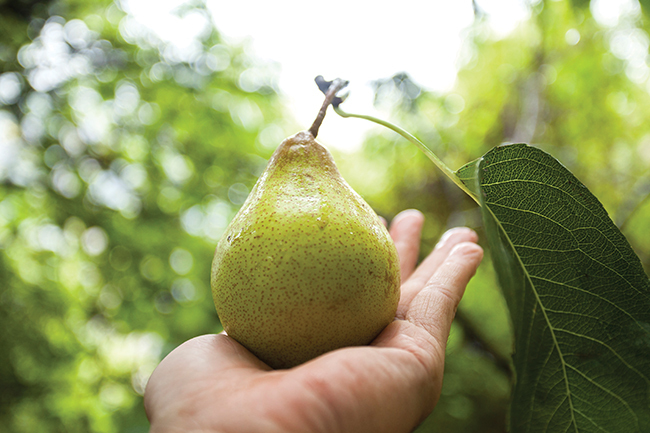 Snack on edible-skin fruits, such as apples and pears, with raw veggies and nut butters to ensure a delicious variety. Friendly bacteria drinks and supplements are popular now. However, there is mixed evidence to suggest bacteria-based probiotic drinks have any beneficial activity in the intestine. My best advice would be to incorporate friendly probiotic bacteria into your diet in a variety of ways, rather than just being reliant on branded probiotic drinks or tablet supplements. 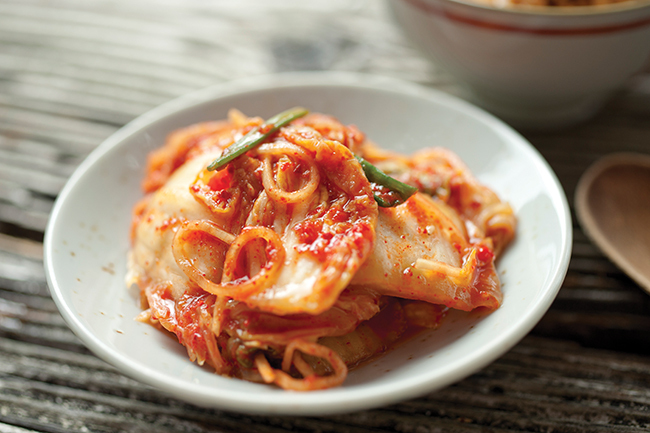 Fermented foods such as kimchi, kefir (such as coconut or soya-based kefir), sauerkraut, miso, tempeh and other fermented vegetables. These can be combined with sources of fibre, which act as pre-biotics – helping to feed and breed healthy bacteria in the intestine. Possibly my favourite and most versatile fibrous food source is the humble oat. 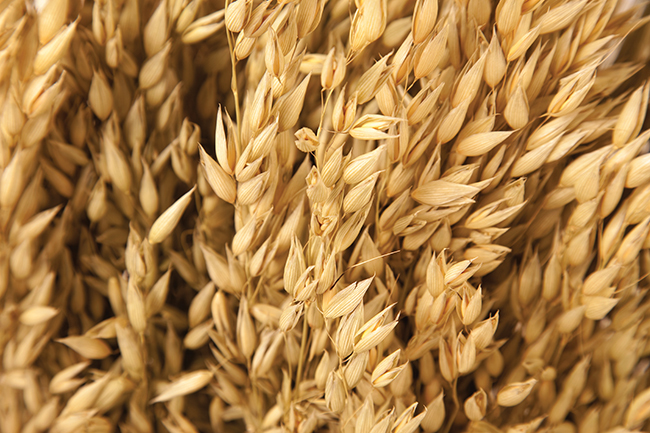 It is one of the most complete sources of fibre, and has the added benefit of producing a compound called beta glucan. This gelatinous substance formed from oats in the digestive system is responsible for binding excess dietary fats, sugars and toxins to eject them from the body. Oats also help to actively lower cholesterol levels produced by the body, by blocking its re-absorption. I use oats for a variety of dishes. For breakfast (my favourite meal of the day), I always soak some overnight oats in soy milk and top with nuts, seeds and fresh fruit to tick all the gut-boosting boxes. If breakfast isn’t your thing, incorporate oats into your dinner by making them into a savoury crumble or cobbler, or try snacking on raw crackers made using oats and flaxseed. This type of fibre is semi-soluble in water, and creates a gelatinous substance in the gut, helping to aid digestive transit and reduce inflammation, constipation and discomfort. Soluble fibre is also the compound that is responsible for binding dietary fats, sugars and toxins to be flushed out of the body, so they are a component in aiding health promotion and disease prevention as well. 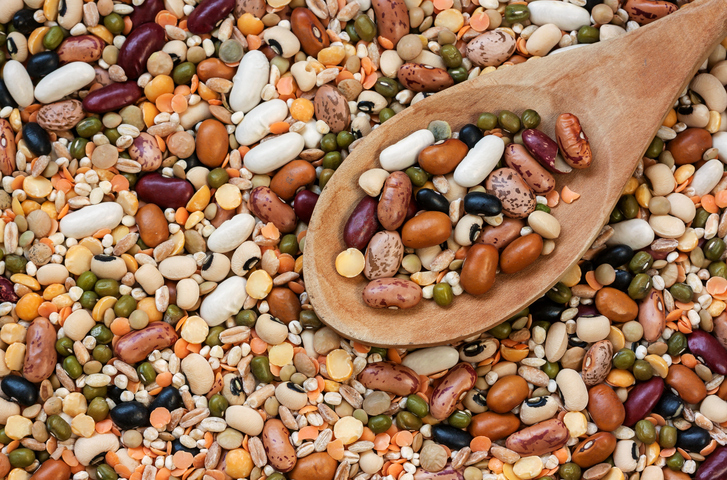 The best sources of soluble fibre include grains such as oats and rye, fresh fruits, beans and pulses, root vegetables, including sweet potatoes and carrots, and gelatinous seeds such as ground flaxseed and chia seeds. You should aim to incorporate at least one source of soluble fibre in each meal and snack. My best advice when increasing your amount of fibre is to begin slowly. First of all, ditch the processed and refined foods from your diet, including any refined grains. Increase the amount of fibre in your daily diet a little at a time to give your body time to adjust and help ease your friendly bacteria into their new regime. Make sure you up your water intake too, and decrease the amount of caffeinated drinks you consume to two per day. You’ll soon have a new lease of life and find your gut feeling more regular and efficient. Discover the best foods for healthy digestion here. 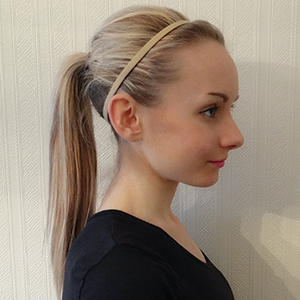 Charlotte is a student researcher of nutrition and human disease. As well as working as a staff writer for Vegan Food & Living, Charlotte also writes for The Vegan Society and online publications.